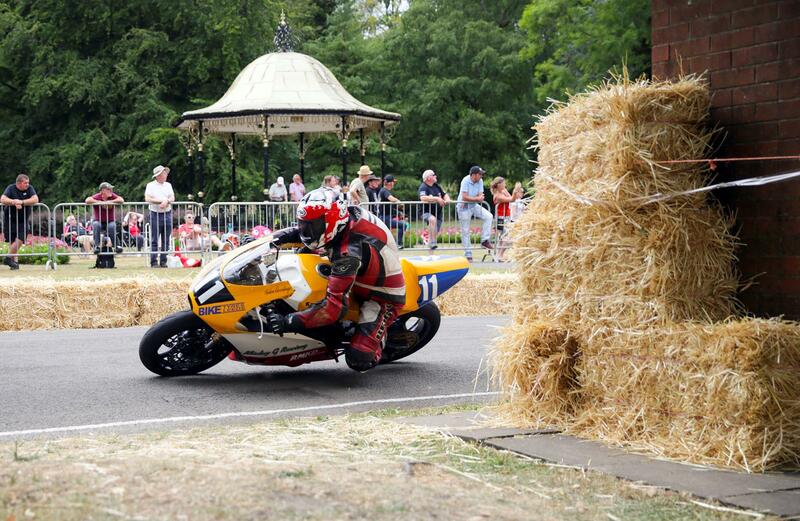 ﻿ How healthy is road racing's grass roots? It’s been a tough and sometimes tragic 12 months for road racing. There is no getting away from the fact that the death toll has been high – since the Macau Grand Prix last year, we’ve lost a host of riders in races all over the world. But it’s not just racers that have been in danger too – at last year’s Scarborough Gold Cup spectators were injured when bikes went into the crowd on two separate occasions. Bikes haven’t raced at Scarborough since and the 2018 Gold Cup meeting that was supposed to happen this weekend has been cancelled leaving the circuit with a cloudy future. But how big is road racing’s crisis? One of road racing’s longest serving photographers, Stephen Davison, travelled to three lesser known road races to unearth the challenges that are shared between big and small. When bike fans think of road racing, the Isle of Man TT is usually the first race that comes to mind. The Manx races are the most famous between-the-hedges event in the world, but there are many more closed public road meetings scattered around the globe and this summer I paid a visit to three new road racing events. The first was a new Irish race, the Enniskillen 100, which was making its debut on the Irish National championship calendar in July. A week later I travelled to the Czech Republic for the tenth anniversary celebrations of the Frantisek Bartose Memorial races in Ostrava. Then in August I made the trip to Wales to see the Aberdare Park race meeting. Immersing yourself in these down-to-earth events can feel as if you’ve turned the clock back 30 or 40 years to a time when a lot of bike racing still took place on public road circuits. It has been 66 years since a road race, also called the Enniskillen 100, was last run in Co. Fermanagh. This year’s new circuit was a three-mile triangle of country roads that included plenty of variation. Bumpy, narrow lanes, where overtaking was almost impossible, gave way to a superfast stretch of smooth, asphalted highway. Aberdare’s races take place on a track running through the small Welsh town’s public park, where the scent of roses mixes with two-stroke fumes as the bikes blitz past the duck pond on their way around the tight 0.9-mile track. 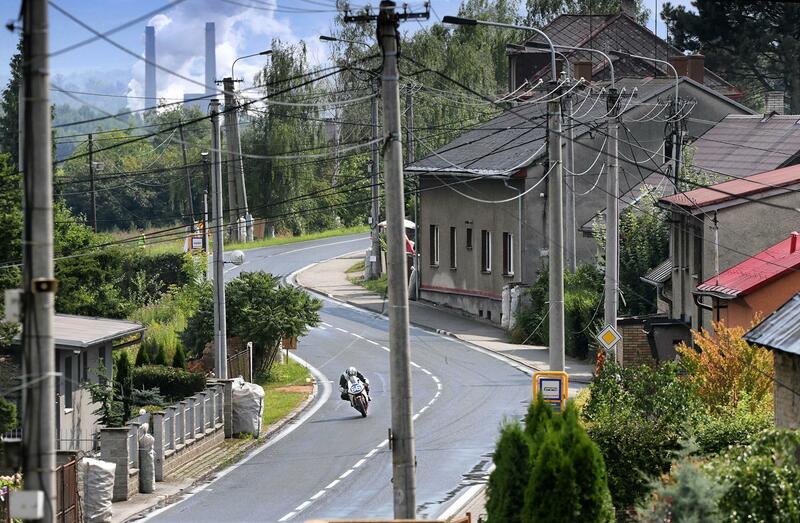 Factory chimneys belching another kind of fumes formed the backdrop to the Ostrava races in the eastern corner of the Czech Republic. The 2.1-mile circuit makes its way past pubs and cottages on the edge of the former communist country’s most industrialised city. With little start or prize money on offer, none of these events attract any of road racing’s superstars. I had never heard of any of the Czech, Polish or Slovenian racers who took part at Ostrava, but with local beer costing just 20p per pint there was plenty of noisy encouragement from the hordes of flag waving spectators. The Welsh and Czech races charged admission for the privilege, with Aberdare asking £14 for entry per person plus £3 for a race programme. Road closing orders in Northern Ireland prohibit race organisers from levying such charges. Spectators were encouraged to buy a programme instead, at a steep £15, but there didn’t appear to be many takers. The Irish club says it hopes to run again in 2019 but the future of these small events, run by a band of enthusiastic and unpaid volunteers, remains precarious. In a hand-to-mouth existence that involves a constant battle to balance rising costs against uncertain incomes, a single day of lousy weather can spell instant disaster. London policeman Alex Smith used to race at Aberdare but he now returns to his home village each August to help his father, Derek, run the event. Race sponsors augment the Welsh event’s admission charges with all the profits being ploughed back into the races. Alex explained: "We get a lot of support from the local council but no finance, which means the races have to be a commercial operation." After a wash-out in 2017 the club had struggled to meet its costs, but Alex was delighted with the large gate this year, almost certainly benefitting from the cancellation of racing at Scarborough. 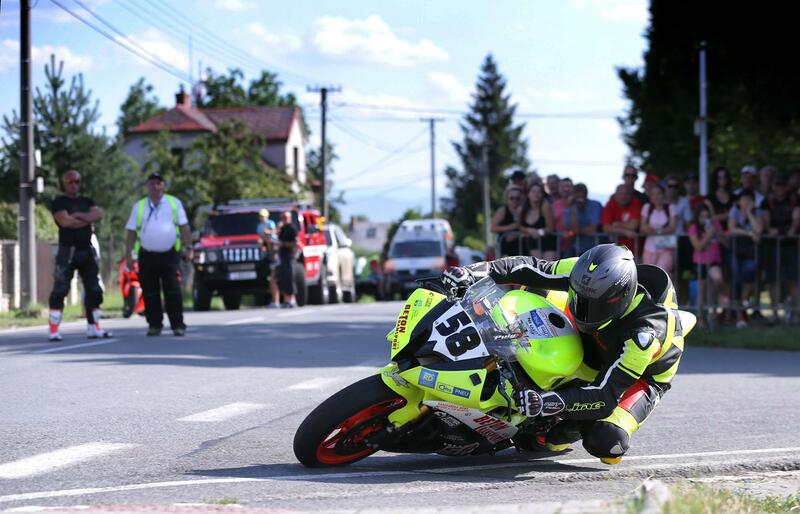 “Each year might be the last,” sighs Milan Kubin, a photographer and journalist who also helps promote road racing in the Czech Republic, had told me ominously before the races got underway. That kind of doom and gloom seems to hang over so much of road racing. Perhaps the calls for the sport to be banned that often come after tragedies has fostered this fearful outlook and led to what feels like a siege mentality among sections of those who run the sport. The Czech organisers said they needed a big crowd to encourage the city government to maintain its level of funding of the races. The sunshine helped deliver the required result. Public funding also underpinned the Enniskillen races. The local authority pumped in money to get the races off the ground in the hope of boosting local tourism. The costs of organising the races are high. Over 700 pieces of Recticel protection line the fences, telegraph poles and stone walls around the Enniskillen course. One section of track is considered so dangerous a tunnel of huge bales was strung out on either side of the narrow road for hundreds of yards. Safety provisions at Aberdare and Ostrava are more rudimentary. It’s disturbing to see parcel tape being used to attach straw bales to a statue that stood in the line of fire at the entrance to the Welsh park. More bales were deployed around the bases of dozens of huge trees. Old tyres, painted red and white, plus bags of plastic bottles were tied to trees and signs around Ostrava’s 2.1-miles. It seemed ironic that Enniskillen, the only meeting of the three that didn’t have an admission charge, had obviously spent so much more money than the other clubs on protective measures. But minimal protection is not confined to Aberdare or Ostrava. Recticel is deployed only sparingly around the TT’s 37.73 mile mountain circuit and is non-existent on Macau’s ludicrously dangerous Armco-lined track. Likewise, the North West 200 and Ulster Grand Prix, Ireland’s leading international events, face relentless financial pressure and have both been brought to their knees recently by bad weather that forced the abandonment of racing. Insurance costs continuously spiral upwards and in Northern Ireland even more pressure is set to be heaped on race bosses if proposals to bill race organisers for the costs of policing are introduced. 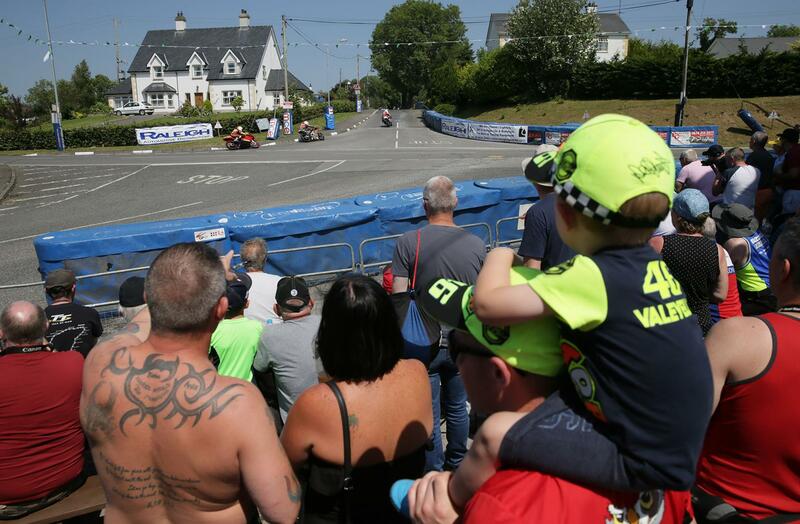 A close and vital relationship exists between the smaller road races like Enniskillen and the sport’s major events at the TT and North West 200. Many TT winners have had their first taste of between-the-hedges racing on little byways like the Fermanagh lanes. Peter Hickman might have been plucked from the BSB series to TT glory, but Michael Dunlop served his road racing apprenticeship on circuits very similar to Enniskillen. New Mountain Course recruits have been thin on the ground in recent seasons and now racing has disappeared at Scarborough with the cancellation of all the 2018 meetings. Guy Martin, Dean Harrison, Ivan Lintin and the late James Cowton all learned their trade at Oliver’s Mount and the permanent loss of England’s only road race venue will have a significant impact. After a year when we have suffered a string of tragedies involving some of the sport’s biggest names and rising stars, that effect could cut even deeper. For those who continue to race the roads, these problems are usually seen as issues for others to debate. They face the more immediate challenge of staying safe in the world’s most dangerous sport.